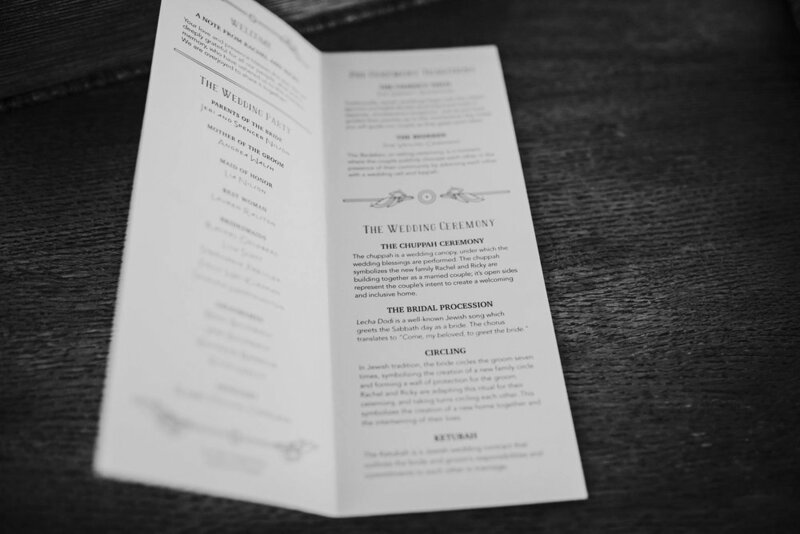 I was honored to contribute to my friends' gorgeous 1920s inspired wedding by designing a program for their ceremony. The bride and groom celebrated their union with a traditional Jewish wedding. The program served as a guide to the Jewish wedding traditions that many guests may not have been familiar with.